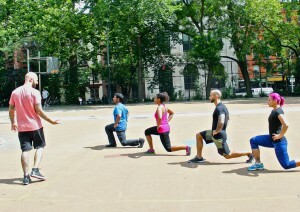 My Tompkins Square Park Calisthenics Bootcamp is back! Classes will meet at the jungle gym near the Northeast corner of NYC’s Tompkins Square Park at 10am on select Saturday mornings beginning April 12. Due to my travel schedule for the Progressive Calisthenics Certification, I will only be able to offer bootcamp classes once or twice each month. To stay informed of when classes will be taking place, make sure you follow me on Facebook and/or Twitter. I will update both accounts a few days before each bootcamp session to confirm that we’re on for that Saturday. I almost forgot the best part! The new price for bootcamp at TSP is… FREE!!! All you need to bring is a positive attitude and a willingness to challenge yourself! Adults of all fitness levels are welcome to attend. Hope to see you there! Thanks, Erin! Hopefully one day I’ll get out to Kentucky for a PCC workshop! cool bro, i live in australia … i always wish to train with ya once. love your work, keep it up !!! Thanks! Hopefully we will get to train together one day! Ausome!!! But when will be the next one? I live in Germany and fortunately due to my job (if announced early) can fly over and join. This is really great !! Are you going to post all the dates for these bootcamps as the time goes by ? I will be moving very soon to Brooklyn and I would be very happy if I could participate in at least one of your bootcamps. My work schedule will be very busy, as I will work 6 days a week 10-12 hours a day and my only way of working out will be bodyweight exercises at home and I would be delighted to get some tips from a master :). Thanks for the message! I’m not certain of all the dates yet, so it is going to be on a week by week basis. When you’re ready to come, message me and I’ll let you know when the next class is. Hope to see you this summer! Will you be at TSP on May 10th, 2014? Sorry – no bootcamp this weekend. I’ll be in Ireland teaching a Progressive Calisthenics Certification. I’m Jegan, i am a kalaripayattu(a south indian martial art) and boxing student doing calisthenics for stength.my teacher wanted to listen to my body and do exercises accordingly. so I usually do 2 sets of 30 pushups,1 set of 6 pullups, 1 sets of 25 squats and another 25 of side squats, as many as hanging leg raises possible per day. i have had several people point it out to me that i should separate my exercises acoording the day and rest period(which i really dont understand) where it is like monday arms, tuesday legs and so on….. Is it really neccasary to split your exercises like this or continue the way im doing it? i have been following the routine above ever since i started martial arts from 2-3 reps to solid 2 digits(i feel pretty awesome).oh! by the way im a big fan of yours. Cool, glad to see boot camp is back. Will def keep checking in for future dates. Thanks, Gil! Hope to see you this summer! Will you be coming to New Jersey this summer?? I am from Mumbai, India. I am a regular reader of your blog. Have learn a lot from your posts and the videos. Am likely to be in NYC the weekend of 13th. I am assuming you will be taking a bootcamp class; an assumption given that there are no PCC workshops against those dates on the blog. If so, would love to drop in, say hello and get to work out with you. Hey Sajith – Thanks for the message! I’m actually going to be out of town that weekend for non-PCC reasons. Enjoy your time in NYC! Perhaps our paths will cross another time! 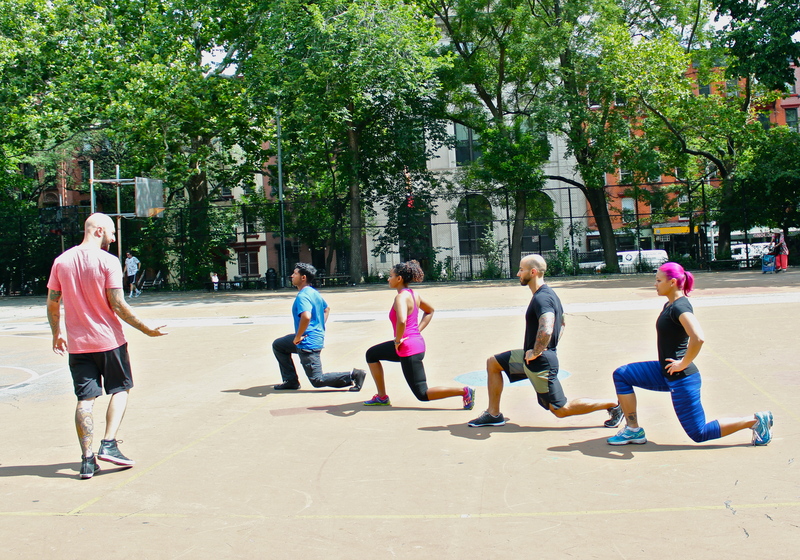 Hi Al, when you’re traveling, is someone else running the NYC Tompkins Square Park bootcamp on Saturdays? Would love to come there sometime in the late summer. Nope. Hopefully you’ll be able to attend the class one of the weeks that I am here!